Swiss shipping line MSC said on Saturday it will bear the “full costs” of cleaning up debris from a container spill that washed up on Dutch and German shores. 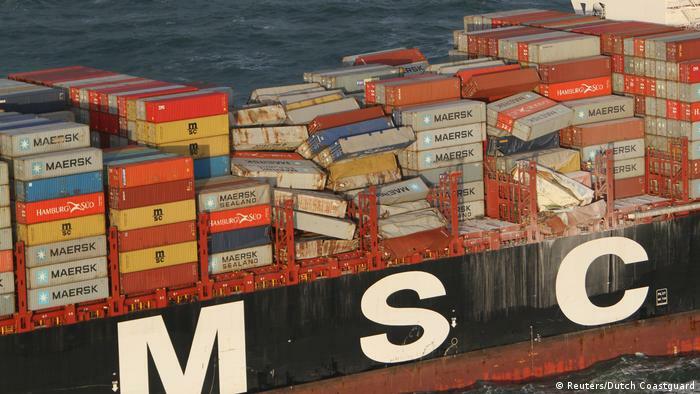 More than 270 containers, some of them carrying hazardous material, fell off one of the world’s largest container ships, the MSC Zoe, in rough weather on Wednesday near the German island of Borkum in the North Sea. “The MSC Mediterranean Shipping Company would like to assure authorities and members of the public in the Netherlands and Germany that the company will pay the full costs of the clean-up,” the Geneva-based company said in a statement. “MSC will also ensure that the beaches of the Dutch and German coastlines are surveyed until all debris related to this incident has been cleared,” it said. 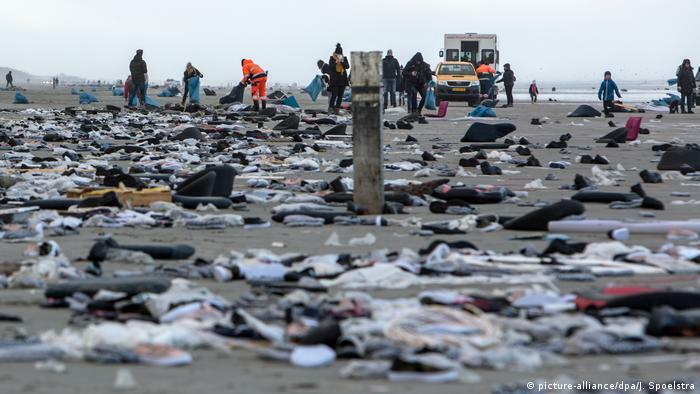 So far only 35 containers, holding car parts, refrigerators, flat-screen TV, toys and furniture, have been located, most of them on the Dutch islands of of Terschelling, Ameland and Vlieland. “Those responsible (MSC) will be held liable,” Dutch Water Management Minister Cora van Nieuwenhuizen wrote in a letter to parliament. “Several containers of hazardous materials were onboard. It is unclear how many fell off,” she said. A 25-kilogram (55 pound) bag containing highly flammable organic peroxide powder has already been recovered on the Dutch island of Schiermonnikoog. Dutch authorities have launched a criminal investigation into the incident. Prosecutors told Reuters news agency that a joint investigation with Maritime Police would focus on “whether the damage caused is the result of criminal acts,” possibly in violation of anti-pollution laws for seagoing vessels. “It will consider whether we can hold someone — and if so who — responsible for the pollution,” they said. Read more: Low-emissions ocean ships: Who should pay for shipping’s green transition? Dozens of containers appeared near the islands of Frisian islands of Terschelling, Vlieland, Ameland and Schiermonnikoog. 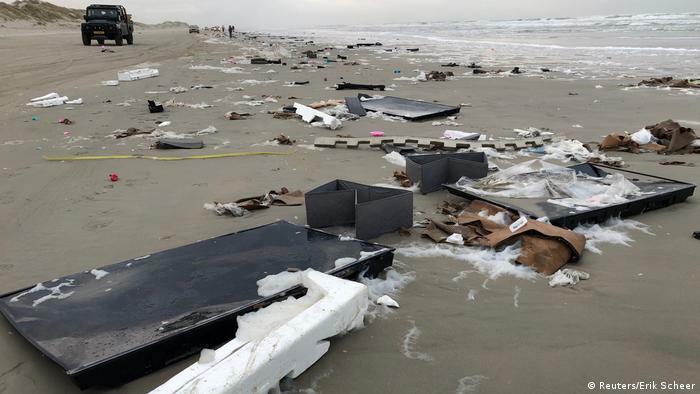 Among the goods washed up on the shore were flat-screen televisions, brought ashore with the polystyrene material they had been packed in. Such material is considered to be flotsam, and inhabitants of the islands have a centuries-old tradition of collecting it. 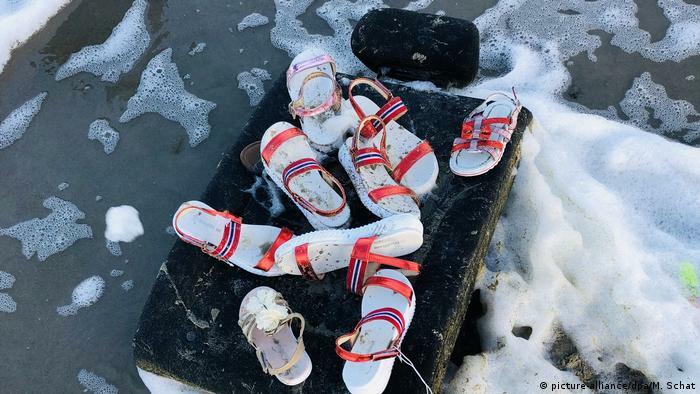 It’s not unusual to see flip-flop shoes like this on the beach, but they don’t usually arrive in pairs as flotsam. Some shoes — and there were a lot of shoes — were wrapped in bags containing silica gel, one of several pollution worries. 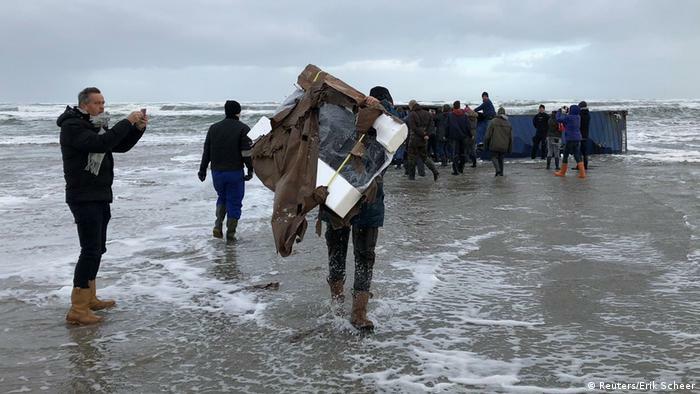 Among the many items to be brought ashore on the waves were to cars, freezers, Ikea furniture, and computer chips. Volunteers pitched in with efforts to clean the beach. 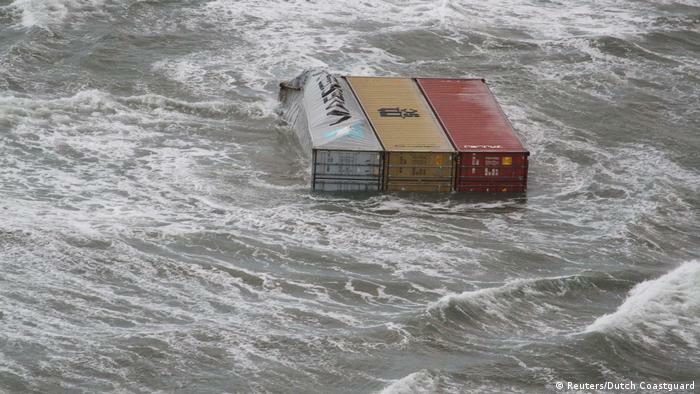 This photograph from the Dutch Coastguard shows three of the containers that fell from MSC Zoe floating out at sea. Authorities have warned that some containers are carrying hazardous chemicals such as organic peroxide, and have urged people not to touch the unopened freight boxes. Three containers loaded with chemicals are still missing. The Panamanian-flagged MSC Zoe is one one the biggest container ships in the world. Containers appeared to have simply been washed away in the rough weather. German authorities have taken the lead investigating the causes of the accident, which occurred in German waters near the island of Borkum. The bulk of the lost cargo was carried southwest, into waters belonging to the Netherlands. In the wake of the incident, Germany is pushing to make it compulsory for shipping containers, especially those holding dangerous goods, to be fitted with tracking devices, Norbert Brackmann, the country’s maritime business coordinator, told the Neue Osnabrücker Zeitung newspaper. But he added that it could take several years before the 170 members of the International Maritime Organization agree on such a step. Germany’s Green party have been demanding that hazardous chemicals be banned from the high seas altogether.